Avago Technologies designs, develops, and supplies analog semiconductors with a focus on compound III-V semiconductor based products. The company offers servers, fiber optics solutions, amplifiers, duplexers and multiplexers, and transistors. 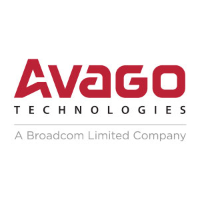 Avago Technologies U.S. Inc. operates as a subsidiary of Broadcom Limited. The company was founded in 1961 as a semiconductor products division of HP. Avago Technologies is a leading global supplier of an extensive range of analog, mixed-signal, and optoelectronic components and subsystems. Avago Technologies products serve the industrial and automotive, wired networking, wireless communications, and computer peripherals markets. Avago Technologies has acquired PLX Technology.